If you’re wondering what the power steering replacement cost is for your car, you’ve either got a pretty serious problem, or you’ve just gotten some bad news from your mechanic. Either way, the first step is determining the power steering replacement cost is to figure out what sort of equipment your vehicle is equipped with. If you’ve got a car with a power steering rack that runs behind your engine and is difficult to access, you may be in for a pretty steep cost. On the other hand, if you’ve got a steering gear that is easily accessible and quick to remove, the cost can be much less. There are two basic types of steering systems utilized in vehicles today. Most vehicles on the road today use a rack and pinion steering system. The heart of the system is the steering rack. It has a single input from the steering column and two outputs, one shaft on each side that connect to the tie rods and ultimately turns your wheels. 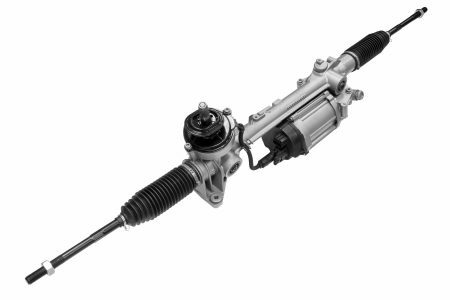 A rack and pinion steering system is most often utilized on smaller vehicles and passage cars along with many newer vehicles. Older vehicles and larger vehicles like trucks and SUVs can utilize a different system called a steering gear. The steering gear is much simpler and works best for vehicles with solid front axles or where a robust steering system is required. The steering gear has one input, the steering column, but only one output a shaft that connects to a pitman arm. From there a series of links connect to the tie rods and turns the wheels. The linkage and joints in a steering gear system can be expensive to replace, but the steering gear itself is often a relatively inexpensive fix due to its simple design and its mounting location. A steering rack is a more expensive piece of equipment due to its complex system of turning rotational movement into linear movement and the added complexity of the adding power assist to your steering. Also, the steering rack often spans almost the whole width of your car and therefore needs to be mounted below your engine and can be difficult to remove again adding to the labor costs. With a better understanding of the differences in the power steering replacement cost for your vehicle based on its design, it’s important to ask another question. 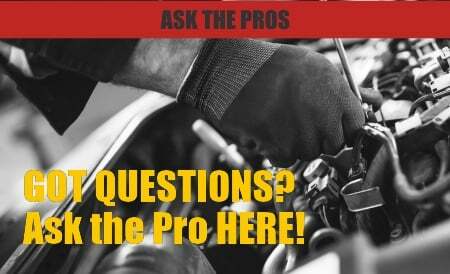 Are there any alternatives to power steering replacement? Rarely do either a power steering gear or steering rack break catastrophically. Most times the problem is a simple leak and the rest of the gear or rack is actually functioning perfectly. If this is the case with your vehicle, it’s possible to simply seal the leak rather than replacing the entire system. BlueDevil Power Steering Stop Leak is a simple stop leak agent you can add to your power steering reservoir. From there it will enter your power steering system and recondition the seals in your steering rack or gear sealing your leak and allowing you to keep your current steering gear or rack saving you the cost of replacing the system. Can one find this shops in Upington South Africa. I am in urgent need of blue devil powersteering leak stop. Unfortunately, we do not currently have a distributor in Upington South Africa. However, you may purchase the product directly on our website, http://store.gobdp.com/power-steering-stop-leak-00232/. Simply enter your billing and shipping information and your order total would be calculated at checkout.